Roosebeck 18 x 4 Inch Bodhrán Single Bar Bolt Tune Red Cedar + Tipper Cipin & Wrench. 18" x 4" red cedar Bodhrán with inside tuning and single removable crossbar. Bolt tuning is hidden on the inside of the frame. 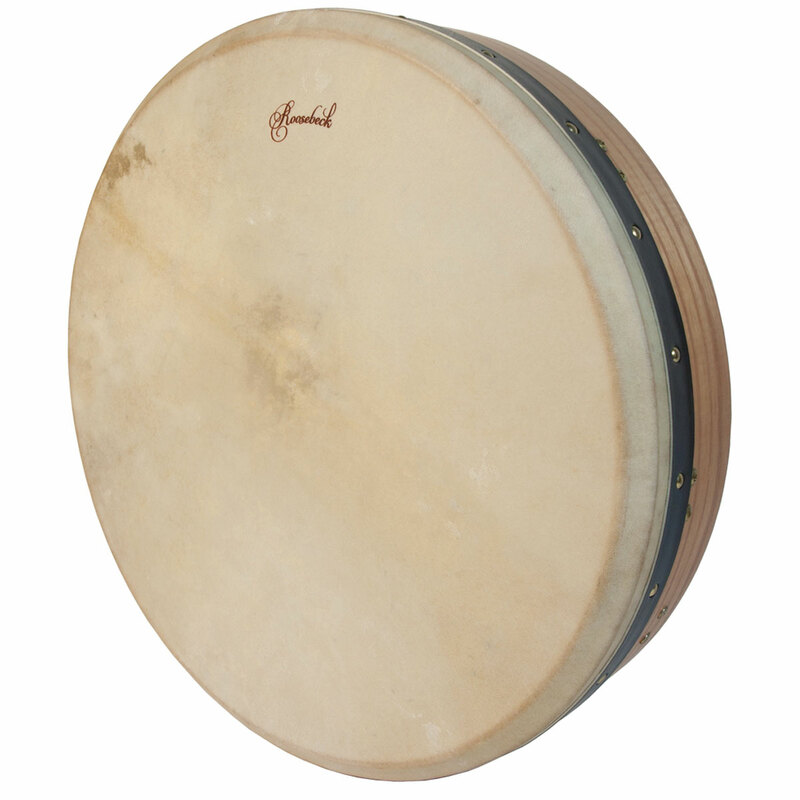 Natural goatskin head is tunable. Includes a Tipper Cipin and a tuning wrench.